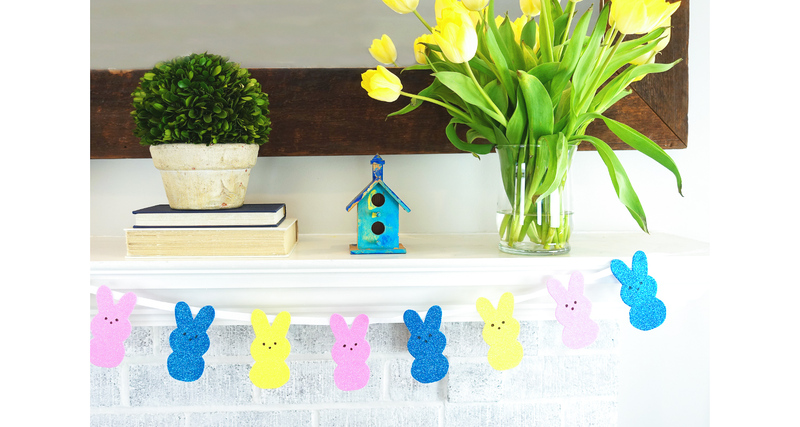 We created this adorable PEEPS Easter banner with just a few supplies in less than half of an hour. 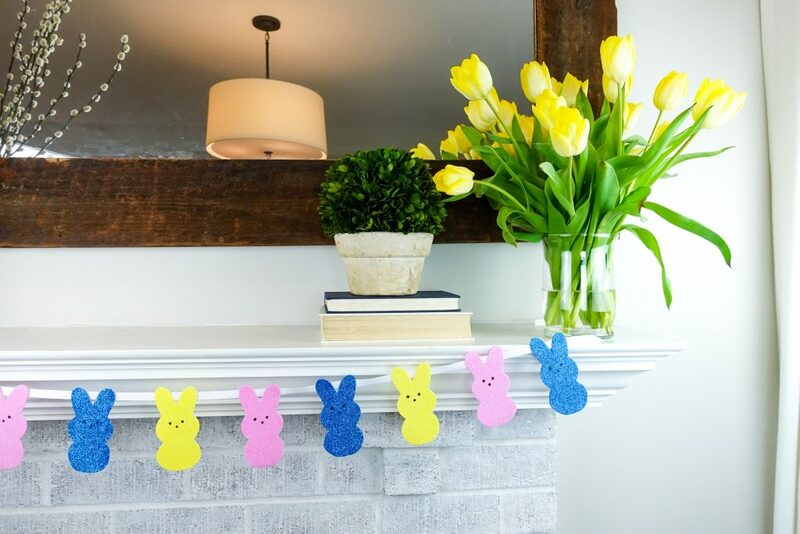 We picked up these foam shaped bunnies at our local Dollar Tree store and turned them into the traditional PEEP bunnies. We used about one and a half packages of the foam bunny shapes for our banner, but it really depends on how long you want your banner. Take the bunnies out of the packaging and separate them. 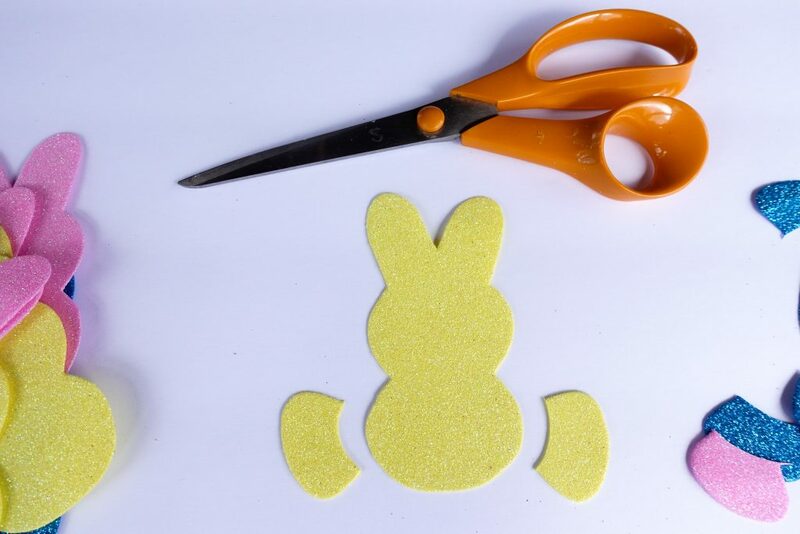 Trim off the legs on each side of the bunny. 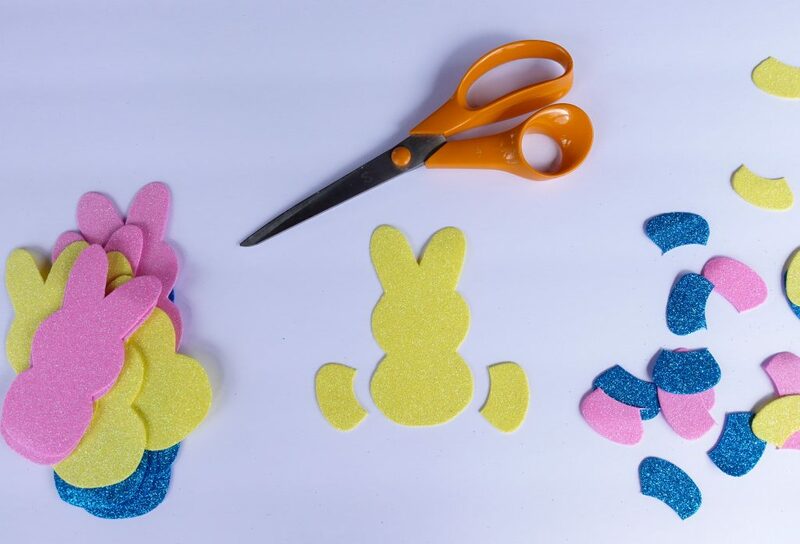 Try to round off the bottom as much of you can to mimic the PEEP bunnies. 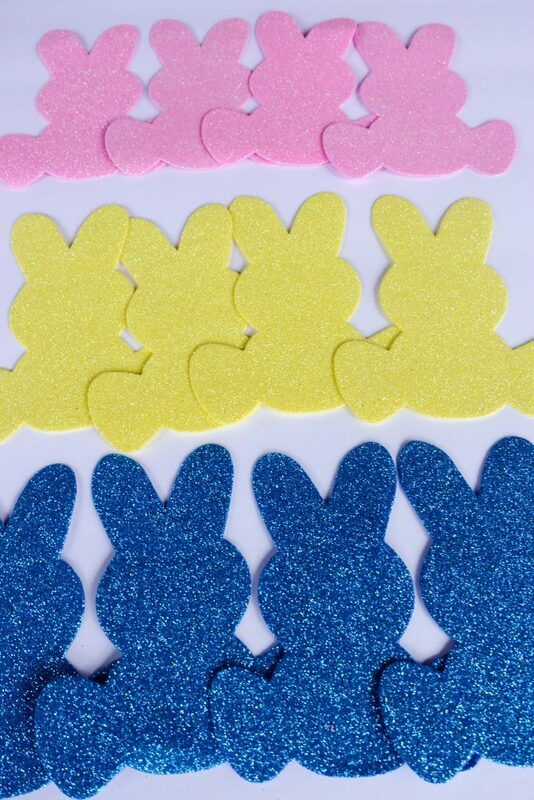 Continue to trim all of the bunnies. 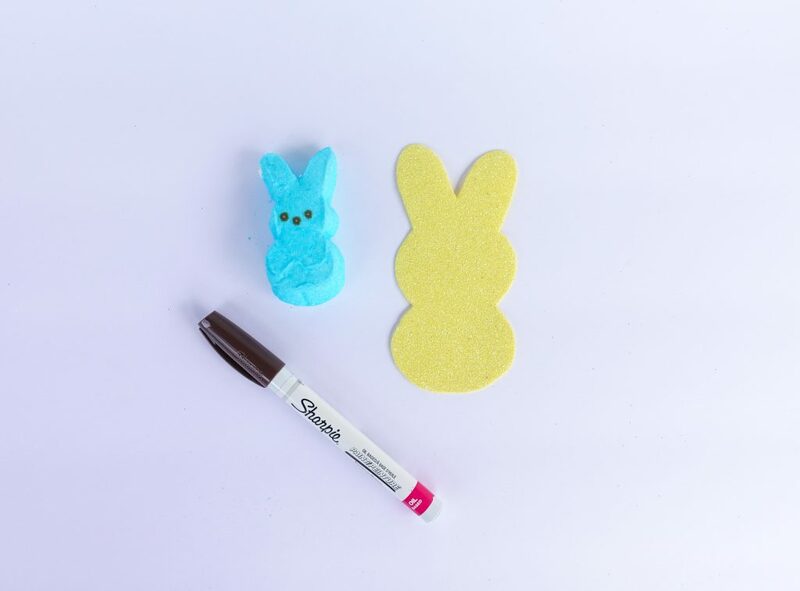 Using your sharpie maker or paint pen add two eyes and a nose to each of your bunnies. 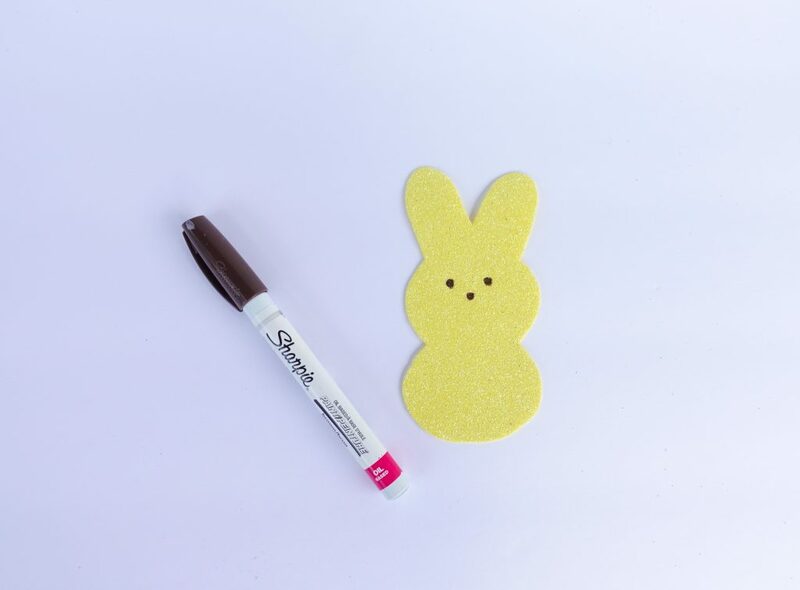 You might want to test your pen or marker on some of the scrap pieces just to see if it bleeds or rubs off before drawing on all of your bunnies. We used a brown Sharpie paint pen. Cut a piece of ribbon at least 6 inches longer than the length of your mantel or desired length of banner. 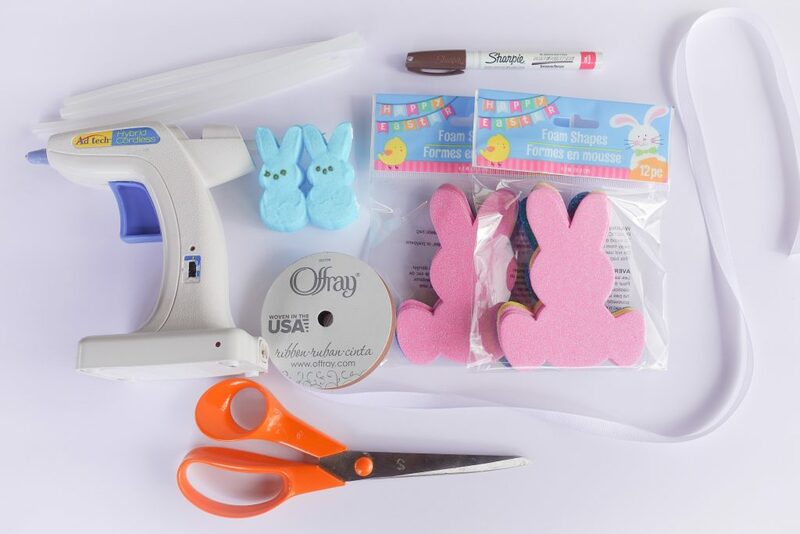 Starting a few inches from one end of your piece of ribbon, begin hot gluing the bunnies to the ribbon. Place a dab of hot glue on the back of each of the ears and attach to the front of the ribbon. We spaced the bunnies out about an inch and half apart but that’s totally up to you. Hang up your banner and smile. You just created an adorable banner in no time at all for only a few dollars … wahoo!